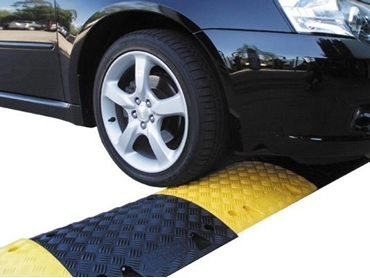 Rhino speed humps, from Australian Warehouse Solutions , alert speeding motorists that a carpark or road is not a raceway, and provide a safe and cost effective solution to traffic management issues. Australian Warehouse Solutions' innovative Rhino speed humps offer a quiet yet effective physical and visual deterrant to fast moving traffic, and can be relocated without damage to the hump or road surface, making them ideal for both permanent and temporary installations. Australian Warehouse Solutions also offers a 100% money back guarantee on their Rhino speed humps.